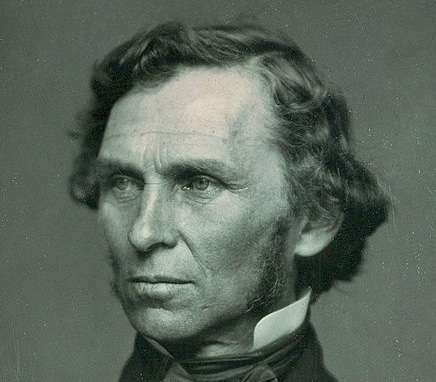 The Portland Rum Riot erupted on June 2, 1855, when the city’s Irish working-class residents found out something about their teetotaling, saloon-raiding mayor, Neal Dow. He had stashed $1,600 worth of booze at City Hall. At 5 p.m. that day, about 200 people gathered outside City Hall, hoping to see Mayor Neal Dow arrested. Dow had spearheaded passage of the Maine Laws, which outlawed alcohol exactly four years earlier. “Hypocrite,” cried the crowd. By day’s end, the Portland Rum Riot would result in the death of one man and the wounding of seven others. It would cloud Dow’s political ambitions and end Maine’s first temperance experiment a year later. Neal Dow was born to a prosperous Quaker family in Portland on March 20, 1804. Even as a boy he hated alcohol with a passion. He hated slavery, too, believing rum and slavery fed off each other. Dow had a point. Rum, slaves and sugar fueled the triangular trade among the Caribbean, the United States and Africa. Back then, Americans drank three times as much as they do today. Dow said Portland had as many as 300 drinking establishments along the mile-long stretch from lower Congress Street to Munjoy Hill, an Irish working-class neighborhood. Dow was probably right. After all, he had ordered raids on the illegal saloons. Dow at 23 had co-founded the Maine Temperance Society. From the 1840s, He was the bane of Irish immigrants who sold booze as he waged a fanatical war against their ‘notorious groggeries.’ Dow liked to give speeches painting lurid pictures of the rum-swilling foreigners who had just arrived in America. 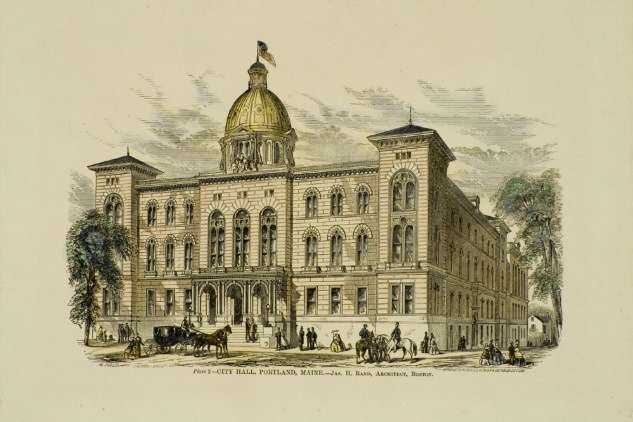 In 1851, as mayor of Portland, Dow achieved his lifelong goal with the passage of the Maine Laws. They outlawed alcohol – except for medicinal, mechanical or manufacturing purposes. Mayor Dow's battle against alcohol created plenty of enemies. Portland’s large Irish population viewed Dow’s war on booze as a war on them. And in 1850, 11 percent of Portland’s population of 21,000 identified themselves as Irish immigrants. The Maine Laws allowed towns to appoint an individual to buy alcohol for medicinal purposes. In the spring of 1855, Dow had gone ahead and authorized the city to buy $1,600 worth of ‘medicinal and mechanical alcohol’ for distribution to pharmacists and doctors. Technically, he broke the law, which required the appointment of a committee. But no committee had been appointed. Word got out that Dow had stored alcohol in the city vaults. The news spread quickly through Portland’s Irish population. In Maine, any three citizens could ask a judge for a search warrant if they believed a crime had been committed. The Irish asked for, and on June 2 got, a search warrant from a local judge. That day, a small crowd began to gather outside City Hall. The men with the warrant showed it at the door and demanded entry so they could search the premises. The police refused them. As more men got off work in the evening, they headed to City Hall. It soon became became clear the police wouldn’t cooperate with the court order. Men started milling about angrily and threatening to rush the building. Occasionally during the evening, stones and brick-bats were thrown against the door of the liquor store (the storage area in City Hall), breaking the glass and sashes, and otherwise injuring the door. Dow called out the militia and ordered them to shoot. During the melee, John Robbins, a 22-year-old sailor from Deer Isle, broke a hole in the door of the liquor vault and unlocked it. Instantly a volley of fire killed him. Even as the crowd dispersed, the militia continued to fire. Seven more people were injured. Tragically, Robbins was to have been married the next day. 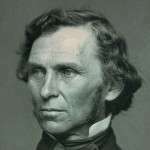 Dow received plenty of criticism for ordering the militia to shoot, but he expressed no remorse for the Portland Rum Riot. He was acquitted on charges that he’d improperly obtained alcohol. But he lost re-election by a wide margin, and a year later Maine repealed the Maine Laws. In 1861, at the age of 57, Neal Dow enlisted as a colonel in the 13th Maine Infantry to fight the Civil War. He was wounded, captured and promoted to general. Though he returned from the war a hero, the Portland Rum Riot ended Neal Dow's political ambitions. He never again held public office, despite running for governor and for the presidency of the United States. The Friends of Evergreen Cemetery, where several significant players in the Portland Rum Riot are buried, hold walking tours during the summer, including rum riot tours. Click here for more information. This story about the Portland Rum Riot was updated in 2018.